Though many male writers struggle with female perspectives on motherhood, Marvin Amazon carries the theme flawlessly. His smart, engaging style speaks to his confidence as a writer. 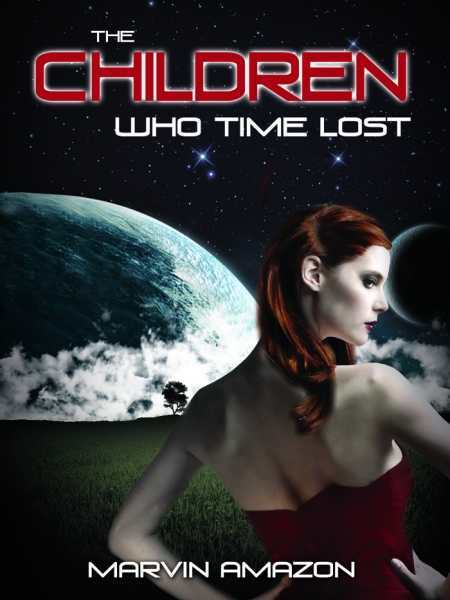 Fast, gripping, and completely believable in its context, The Children Who Time Lost is a thrilling addition to the alien invasion canon. The excellently paced treat for sci-fi veterans and newcomers alike offers sophisticated themes of motherhood and empowerment that imbue the traditional alien invasion trope with fresh readability. Marvin Amazon offers a new spin that both challenges and respects its audience. Driven by a powerful and dynamic main character, the book also contains a few dynamite battle scenes to sweeten the deal. A worldwide fertility crisis has held humanity in its grasp for forty years, preventing women from conceiving and endangering civilization. Luckily, would-be parents are able to adopt children from the future via time travel. Rachel Harris, an emotionally fragile nurse, is the only woman of her generation to give birth naturally. After Rachel’s daughter dies, she accepts a chance to adopt a new child. But when her infant son is abducted by a shape-shifting alien, Rachel finds herself in a war for the survival of the human species and a conspiracy that goes deeper than she could possibly imagine. Rachel’s progression from victim to protector is completely predicated upon her role as a mother. In fact, her unique ability to bear children completely eclipses her identity at the book’s beginning. The story gets most of its punch from Rachel’s conscious move from passive, childbearing wallflower to active and self-motivated protector. Her personal redefinition of motherhood is an empowering thrill that captivates until the last page. Rachel is a strong woman who seizes her own agency—a character who escapes the social preconceptions surrounding fertility and motherhood to connect with her primal understanding of good, evil, and self. Rachel’s allies and enemies alike are defined by their common intent to flatten her personality. While their specific aims vary, each tries to portray her with a preconceived notion of her identity, whether that is a warrior, a delicate flower, a savior, or a criminal. Their backgrounds inevitably shady, it is impossible to know anything more about the peripheral characters than Rachel doesn’t know herself. Their hidden motivations add tension to the story, and readers will find themselves cheering for Rachel as she struggles to break free of them all. Naturalistic treatment of dialogue is one of this book’s core strengths, and readers will find themselves delighted with the lively prose style. In writing from Rachel’s perspective, the author brings his intelligent style to bear in communicating respect not only for his audience but also for his main character. Though many male writers struggle with female perspectives on motherhood, Amazon carries the theme flawlessly. His smart, engaging style speaks to his own confidence as a writer and imbues his main character with a vibrancy that brings her transformation to life. While delivering the requisite thrills, Amazon employs a light touch with his protagonist’s dynamic arc, skillfully allowing the reader to see Rachel grow as a person without forcing her to explain everything. The Children Who Time Lost is a rare find in a genre that too often settles for safe patterns. An incredibly fun and solid story, it is not to be missed.